Micropower launches new members of the Access and Lion families – Access 130 and Lion 130. A 3-phase HF battery charger optimized for capacities between 10 and 13 kW. During the second quarter 2018, Micropower will have the new 13 kW chargers, Access 130 and Lion 130, available for delivery. The chargers are compact, still powerful, and available for 380-440VAC and 480 VAC, secondary voltage from 24V up to 120V. Lion 130 is the model for all lithium-ion applications and Access 130 takes care of lead-acid and virtually any other chemistry. Both models are of course CE and UL certified. 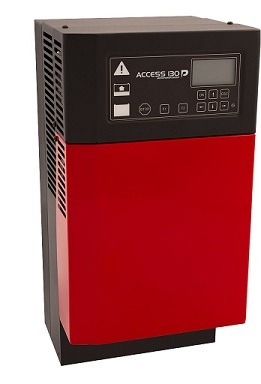 From the third quarter 2018, the Access 130 and Lion 130 will be available in double-packs, 26 kW, or multiple assemblies. With these charger sizes Micropower fills in power gaps, thereby covering better the entire range up to 26 kW (and higher with multiple assemblies). « Article in ‘Elektronik Tidningen’ regarding Micropower’s investment in SiC technology!